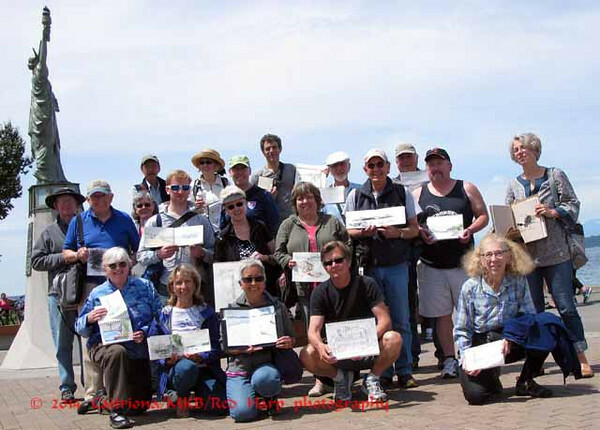 A little more than 20 sketchers gathered for our outing to Alki Beach in West Seattle. I'd sketched beach scenes earlier in the year so I went straight to something I'd spotted on my previous trip. 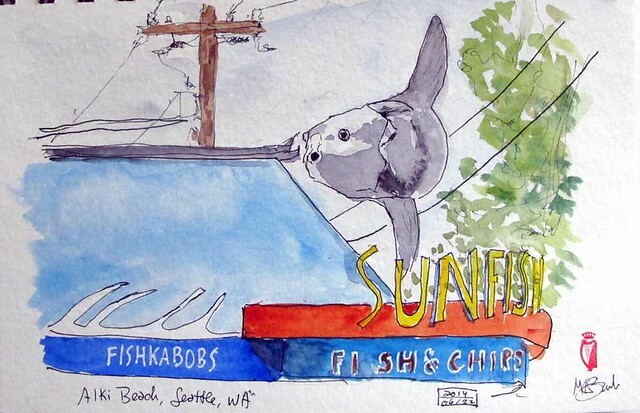 I liked this fish sculpture over a restaurant. It has such an expressive face. 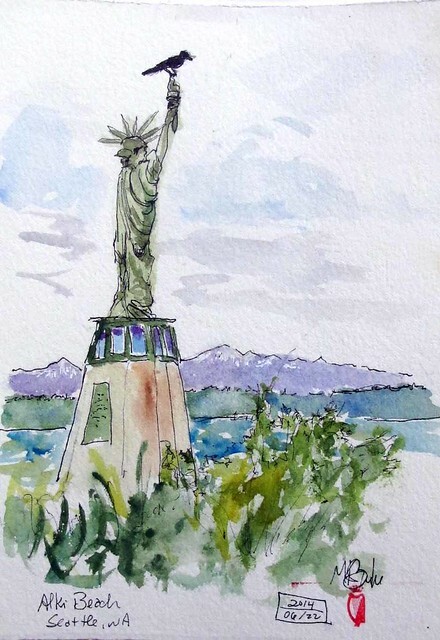 And then, of course, I had to sketch the small version of Lady Liberty, as many others did this morning. 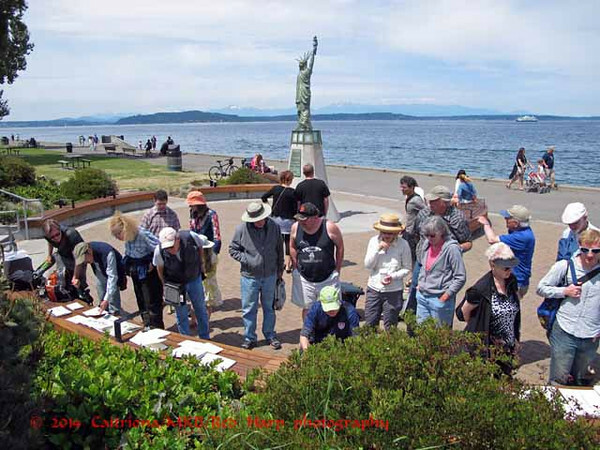 "The Statue of Liberty, a small replica of the original "Liberty Enlightening the World" in New York City, was a gift from Reginald H. Parsons and the Seattle Council of the Boy Scouts of America in 1952." While I was sketching, a crow landed on the very top of the torch so I included it.